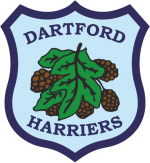 Last weekend saw a number of Dartford Harriers Athletes compete in the National Indoor Championships at Sheffield. One athlete in particular, U17 Kaliyah Young had a particularly successful weekend and managed to secure three podium places. Her successful weekend culminated with a gold in the 200m (1st in the UK) with a truly amazing time of 24.67. 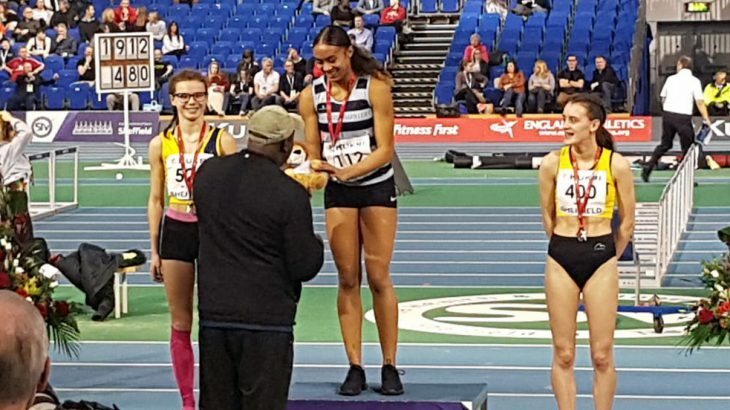 Her exploits of the weekend also included magnificent silver medal winning performances in the long jump (3rd in the UK, with 5.67) and in the 60m (joint 6th in the UK, with 7.70). Following the competition, we managed to ask Kaliyah a few questions, which you can find below. Congratulations on your podium places at the weekend, could you tell us a little about you found the experience? Thank you! I was looking forward to the weekend, I was also determined to keep positive given that the first days events weren’t my main ones. I was pleasantly surprised to get two silver medals. On the second day I felt the pressure a little more because I wanted to do well in my main event, the 200m. I was happy with my performance and glad that I pushed myself. Overall it was a wicked weekend! I am pleased to have reached number one in the UK for 200m. We understand that you have had to overcome a few obstacles in the past to get to where you are now. Would you telling us a little more about them? I had a knee injury in 2016 which put a stop to training for three months, after physiotherapy I was able to return but progress was slow. Rest is key! More recently, last year, I suffered a knock to my confidence. Being inspired by other athletes I realised my own potential and my confidence came back. You must have have to train regularly, have you got any favourite training sessions? I train around three times a week which is average. My favourite is sprint training, I love running the track! Lastly, what is your favourite thing about the sport? My favourite thing about the sport is socialising, meeting new people and the competitiveness. Athletics keeps me focused! Great start to the season, fingers crossed for continued success!